Make your wood floors look brand new again! Fabulous Floors is eager to show you why we’re a leader in the hardwood floor renewal industry. 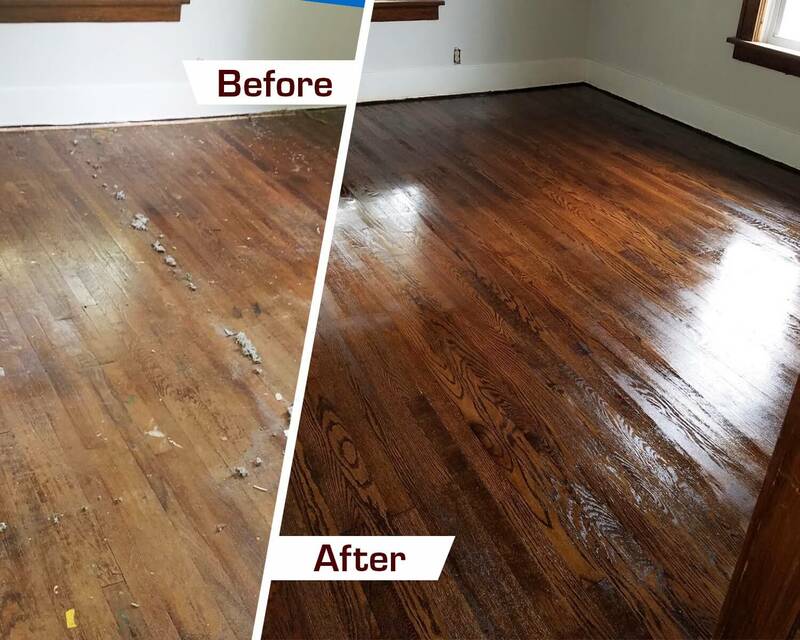 With our exceptional hardwood floor refinishing services in Lakewood, OH, you can literally see the difference Fabulous Floors Cleveland can make in your home. We treat your home like it’s our very own. Our specialized technicians take pride in their work. Our hardwood refinishing service is perfect for bringing life to your floors without having to completely replace them. Call Fabulous Floors today to set up your appointment or get a free estimate on our hardwood floor refinishing services in Lakewood, OH. Since we only take 1–2 days to complete most projects, we can keep costs low without compromising quality. This is just one of the many reasons we are the best hardwood floor refinishing Lakewood, OH has to offer. First, we’ll remove your carpets and rugs to allow for quicker work. We’ll use our high-powered, yet gentle sanding equipment to completely get rid of all scratches and dings in your hardwood floors. After your floors are completely smoothed, you can choose a stain color to apply to your wood floors. Choose something close to their original color or spice things up with a brand new look! Our last step after applying the stain is to seal in the color and the floors with a coat of durable polyurethane. This acts as both a way to protect the floors from future dings and add a beautiful gleam.